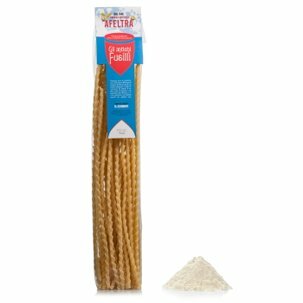 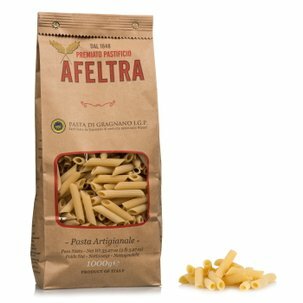 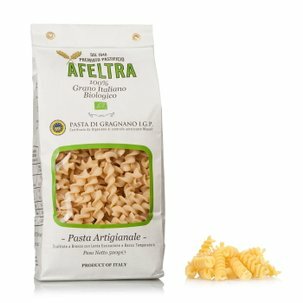 The ziti corti rigati from Afeltra are made with carefully selected wheat semolina originating from 100% Italian wheat that is mixed with water from the Lattari Mountains, extruded through bronze dies and slowly dried for up to 48 hours. 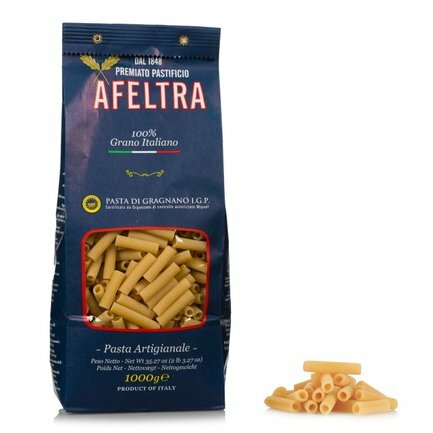 Their particular shape makes them well suited for dense and flavourful sauces that, thanks to the particular coarseness of the pasta, are held by the surface, resulting in an excellent flavour. 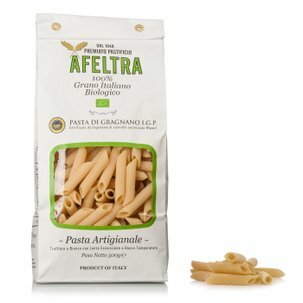 Try them with fish or meat and vegetable sauces. 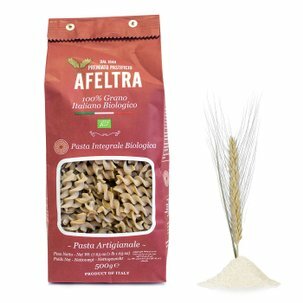 Neapolitan tradition combines them with a classic Genoese sauce (a sauce obtained from slowly cooking onions and meat) or with aubergines and caciocavallo.